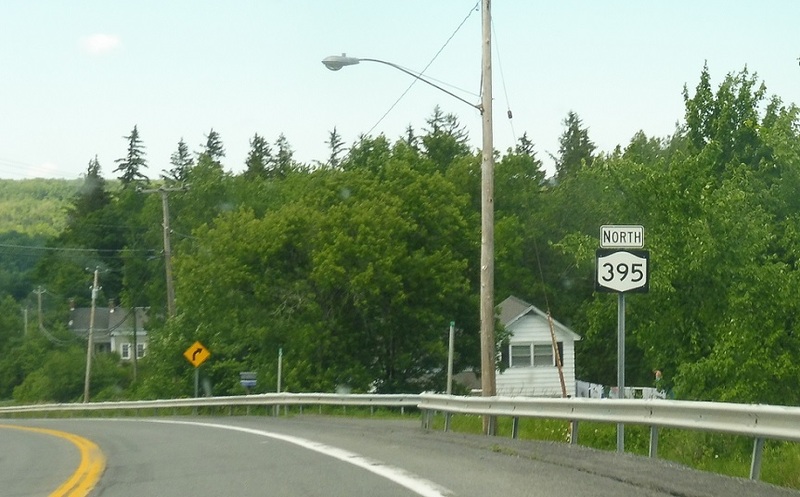 Reassurance shield as Touring Route 395 begins. 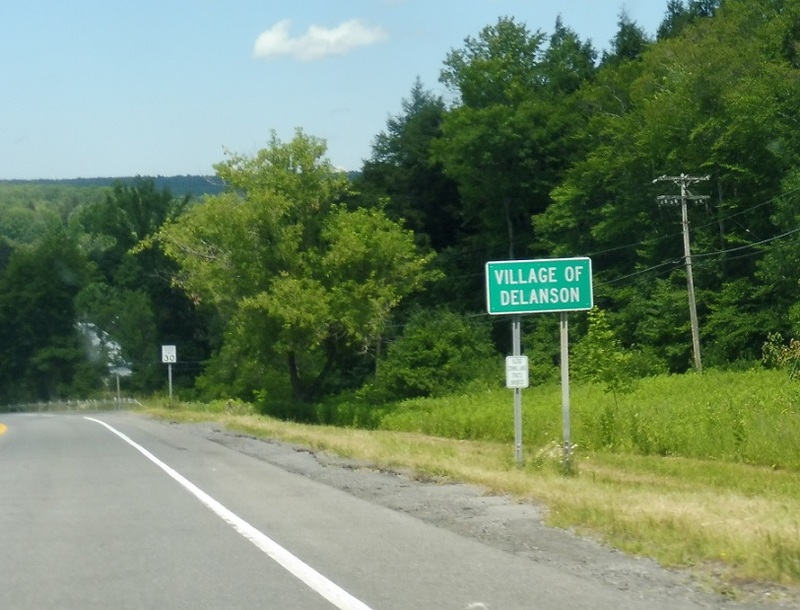 A couple hundred feet later, we’ll enter Delanson. 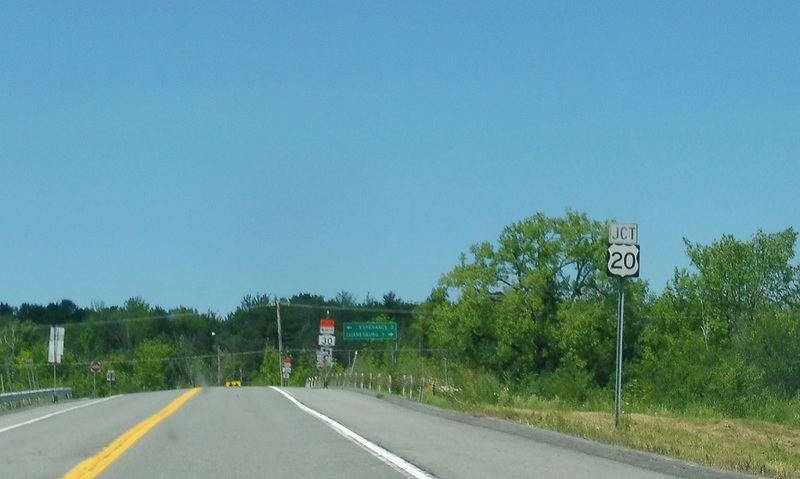 After we head out of Delanson, we’ll approach US 20. 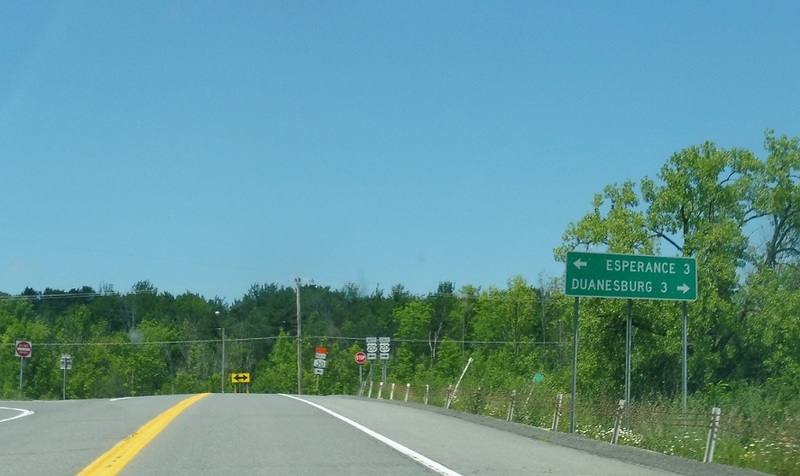 Follow 20 east to Duanesburg and 20 west to Esperance. 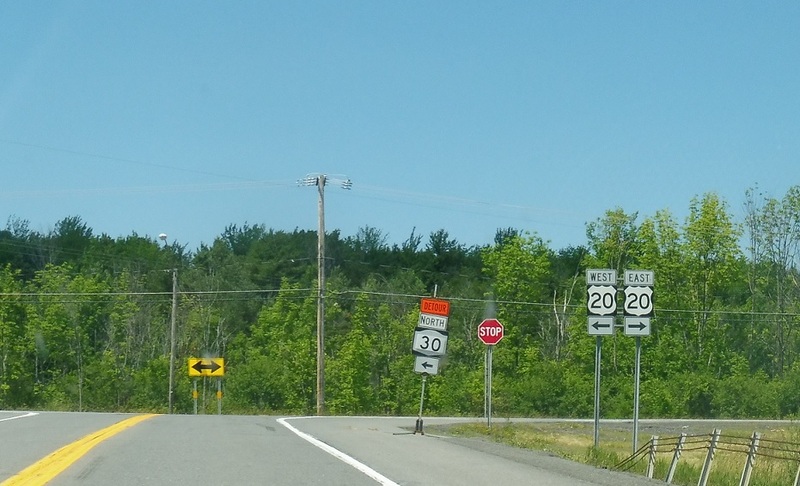 Turn right for 20 east and left for 20 west. 395 ends.